When drivers of cars and trucks injure others, it is their responsibility to stop, lend assistance to the injured if possible, and notify the authorities. A hit-and-run driver ignores these responsibilities, risking the life and well-being of the injury victim, and breaking the law. 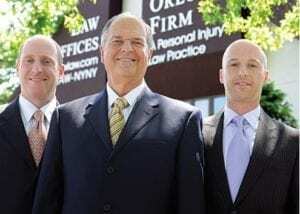 At The Orlow Firm, our attorneys hold hit-and-run drivers to account. We stand up for the rights of people who have been injured by careless and negligent drivers throughout New York City and surrounding areas. If you have been injured, we are here to help you obtain compensation for the losses you have suffered. Contact our New York City law firm today to speak with an experienced Queens hit & run car accident attorney. If you or someone close to you has been injured by a hit-and-run driver, it is important to have an experienced personal injury attorney by your side. In a hit-and-run accident, we work to identify the driver who caused the accident. When that is not possible, we can pursue compensation through the injury victim’s own uninsured motorist insurance. For pedestrians injured by hit-and-run drivers, there are options for compensation. In some cases, victims may be able to recover compensation from their own auto insurance — even if they were injured while on foot. Also, in New York, qualified accident victims can recover compensation from the Motor Vehicle Accident Indemnification Corporation (MVAIC). This is a fund established to aid victims of accidents involving uninsured drivers, stolen vehicles and other accidents where insurance coverage does not apply. Our attorneys have extensive experience handling hit-and-run accident cases and are prepared to handle all of the complex insurance issues that come into play. We will help you pursue full and fair compensation for the losses you have suffered. Have you or a loved one been injured by a hit-and-run driver? If so, contact our New York car accident lawyers today for information regarding your legal rights.